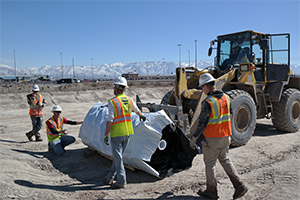 The Salt Lake City Airport is under continuous construction due to the ongoing Redevelopment Program. 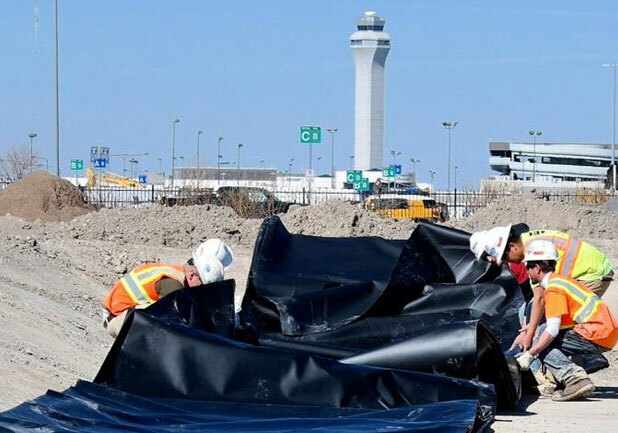 The expansion around the airport has created the need to construct containment areas for possible contaminated runoff. One of these areas had to be constructed and lined within a week's time. On top of that, the liner had to be impervious to the VOCs contained within the runoff. A quick deployment liner was needed, but not just any liner. The proposed solution was the use of the Absolute Barrier Y30BAC. The Y series Absolute Barrier is capable of containing both the liquid and vapor forms of the dissolved VOCs. The ability to do both is not available from any other lining system. Also, due to the flexible nature of the Y series, one large factory-assembled panel was delivered to the site. 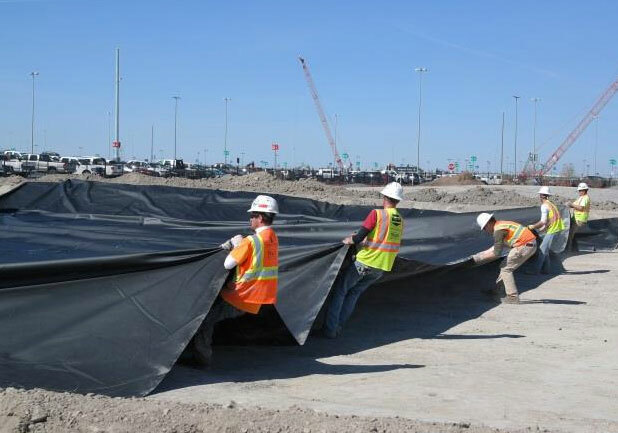 With this panel, the contractor was able to deploy the liner and complete the installation in one day. 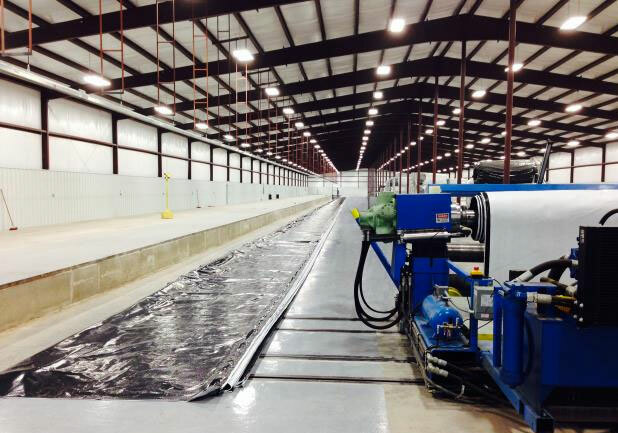 These large panels are assembled under strict quality-controlled measures to ensure clean seaming on panel assemblies for proper field performance. They also minimize the amount of required field seams and increase the long-term reliability of the system. The use of large panels, by virtue of the reduced time and labor required to install the large panels, also reduces overall project costs. Raven Industries custom fabrication operation. Panel of Y30BAC being opened and installed. Packaged panel being opened and unrolled into place. Detention pond construction completed in one day.